Intern Wanted: Novus Select is Hiring! 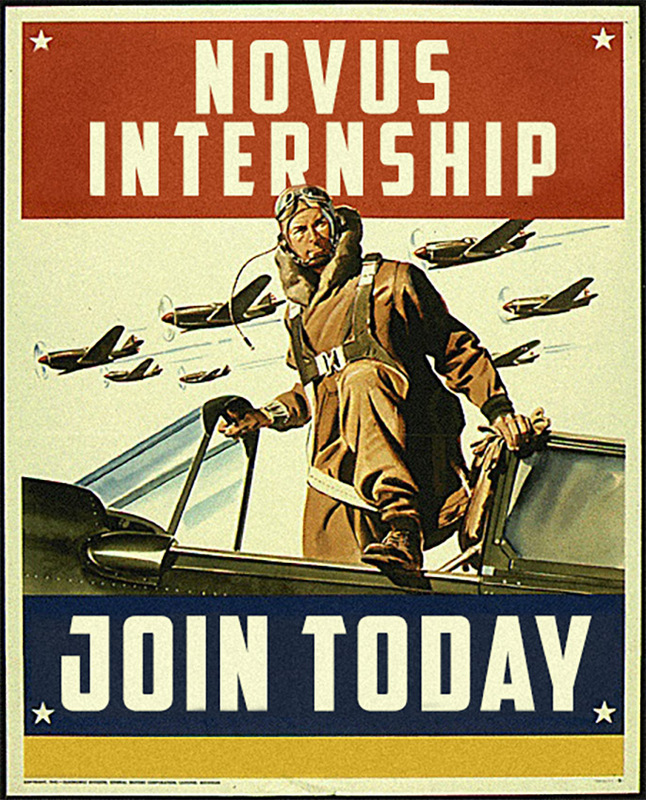 No, you won’t be flying bombers, but if you are ready to take a dive into the world of editing photos and video, Novus Select is looking for its next intern. As many of you know, I’m a partner at Novus Select. We are seeking an inspired, self-motivated, high-energy intern to join our team in South Lake Tahoe, California, beginning roughly around August 2017. We are a video production company and photography agency working across a variety of genres, from science and technology to outdoor lifestyle and adventure, with a diverse clientele from major editorial organizations to some of the world’s largest tech companies. This internship would appeal to someone who is passionate about photography and film, and who is interested in improving their editing skills and learning all aspects of the pre- to post-production workflow. Strong Adobe Creative Suite skills, specifically in Photoshop and/or Premiere, as well as a deep familiarity with Mac systems, are mandatory! Responsibilities will include: Editing in both still and motion platforms, including photo toning and retouching, as well as work on video projects. Image database management and metadata entry. Portfolio and promotional material printing on an Epson printing system. Managing and organizing our product/shipping room and any other general administration or daily tasks in and around the studio. Due to the high degree of autonomy involved with most tasks, an individual applying should be self-motivated, goal-oriented, driven, and attentive to detail. This is NOT a shooting internship and the majority of the duties will be fulfilled in our studio, although there will be potential to work as a production or camera assistant on local jobs. Again, we want to emphasize that you will be an integral member of our team, working in a high-stakes environment. Our clients demand excellence, and we are seeking someone who will work hard, bring a perfectionistÂ attitude to every duty large and small, and will contribute to our thriving business alongside our network of highly in-demand photographers and directors. A love of dogs, adventure, sunrises, and craft beers aren’t mandatory qualifications but those passions will certainly go a long way! About us: Novus Select is a video production company and photography agency creating commercial and editorial content for clients around the globe. We work wth an international network of still photographers and video crews and manage all levels of production, from start to finish. We are a small group of dedicated, hard-working individuals who love what we do, enjoy living in the mountains, and spend the majority of our free time outdoors with family and friends. Any questions can be directed via email; please do not call. Samples of your editing, design and/or photography skills are strongly encouraged. Deadline is the end of July!